After years of hard work and dedication to his craft, Lil Uzi Vert has been welcomed into the Roc Nation family. As of this week, the XO Tour Llif3 mastermind’s name and photo have been added to the roster on the imprint’s official website. 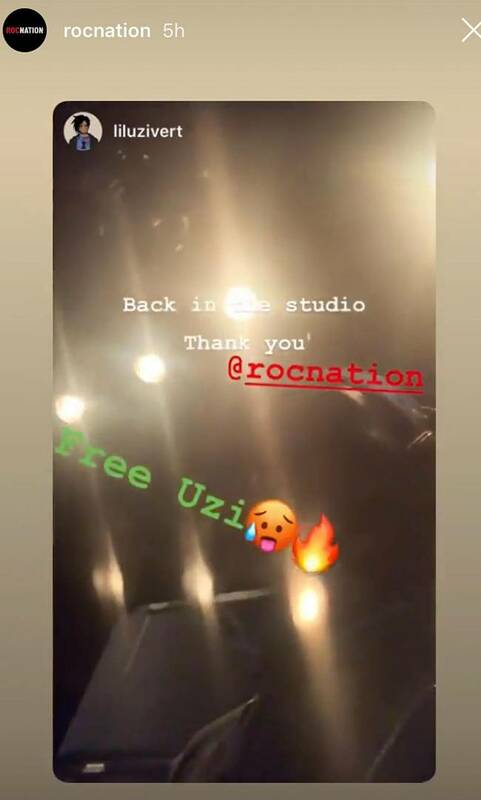 Rumors of a Roc Nation deal started to surface after Uzi thanked the label during one of his recent Instagram Stories. “Back in the studio,” he wrote. “Thank you @rocnation. Free Uzi,” a reminder he still wants to be released from his contract with Generation Now — his record label headed by DJ Drama and Don Cannon. Roc Nation’s Instagram account quickly shared the sentiment. In January, Uzi announced he was done with music altogether following frustrations with his label situation. He claimed he’d scrapped the highly delayed Eternal Atake album and was walking away from his career. But, it’s possible the album will still see the light of day. On Sunday (March 24), Drama tweeted Uzi can release the album “any day he wants.” Now, with this new Roc Nation deal, hopefully his fans will get what they’ve been waiting for soon. Share the post "Roc Nation Welcomes Lil Uzi Vert Into The Fold"